The New Year always brings a higher level of excitement and activity to our lives, as we get back to school, homework, sports, and of course, all of our various church ministries! So, what’s a busy mom to do? I recommend breaking out the crockpot and filling it full of real food ingredients on those especially busy days. That way, you can focus your energy on the tasks for the day, knowing that a healthy home-cooked meal awaits you and your family. This classic comfort dish is made using grassfed beef chuck, which is one of the best choices for making beef stew. The fat content in beef chuck actually lends itself well to slow cooking, resulting in delectable fork-tenderness and rich flavor. So for this reason, I do not recommend substituting with a leaner cut of beef. 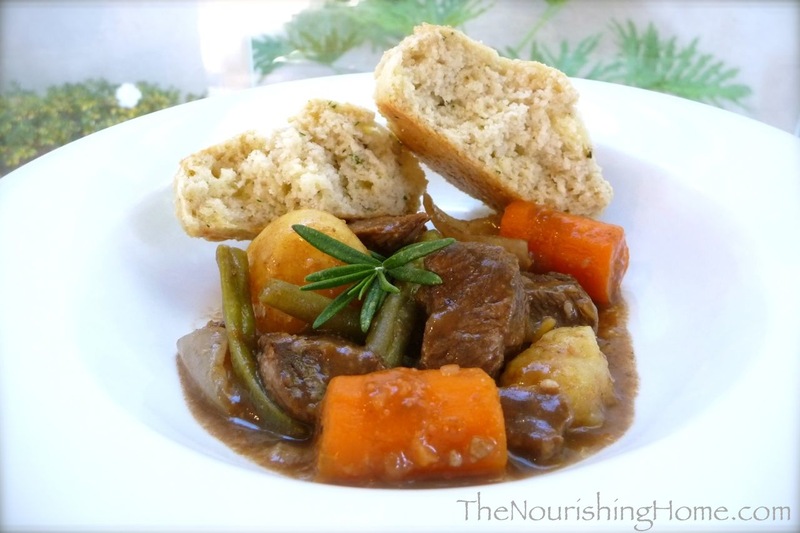 Pair this hearty beef stew with my light and fluffy Garden Herb Biscuits for the perfect wintertime meal that warms the tummy and the soul! Cut beef chuck into 2-inch chunks (do not trim off fat for best flavor). Place the beef chunks in a 6-quart slow cooker and generously season with about a half-teaspoon of sea salt and a half-teaspoon of freshly ground black pepper. Next, add the tomato paste, vinegar and beef stock. Use a wooden spoon to combine. Then, add the garlic, bay leaf and rosemary. Top with the chopped onion, potatoes and carrots in that order. Do not stir. Cover slow cooker; cook on high until beef is fork-tender, about 5 hours (or cook on low heat about 7-8 hours). During last 30-45 minutes of cook time, stir the green beans into the stew. If you’d like to thicken up the broth, just before serving, add about 1-2 tablespoons of arrowroot powder, making sure to thoroughly stir it into the stew. Serve with crusty bread topped with butter, or my yummy Garden Herb Biscuits. *Grassfed beef is a much healthier choice than commercially-produced beef. If you cannot find grassfed beef at your local markets, U.S. Wellness Meats carries a wide selection. I made this today and it came out great – thank you for another winning recipe. Other than substituting peas for green beans, I followed the recipe exactly. I spent less than 20 minutes preparing the stew this morning, which left me plenty of time before dinner to make the garden herb biscuits. The end product was simple yet full of flavor, I will definitely be making this again (and again). I made this last night and my husband commented that it is the best I had ever made. I would have to agree with him. It was delicious! I added some Thyme and Sage to the mix and it added a nice depth of flavor. We also enjoyed the Garden Herb Biscuits. I loved the technique of layering the potatoes and carrots. They weren’t soggy like they are when everything is mixed together. Another awesome recipe! Thank you! We had it on Easter and it was SO tender. Making again this week! I’m from Australia and I found your site this morning while I was searching ideas for soaking oats…..then I realised you are a Christian woman too. Awesome, praise God. In fact, it has been happening to me quite a bit lately, I google whatever I am interested in and a lot of the time my search leads me straight to a Christian website/blog…..and I love that because I know I am reading the thoughts and ideas of someone with the same Spirit! Anyway, after reading all about soaking grains, and then reading all the further information in the comments section below, I felt satisfied…..so I moved around your site a bit and found this lovely stew recipe. I have a couple of questions since I am not used to cooking with a slow cooker (I have one, just don’t use it)…..you don’t seem to recommend browning the meat first before placing it in the slow cooker…..is that correct, you just place the raw meat straight in? In all other slow cooker recipes I have read, they recommend browning the meat first. Also, does grass fed chuck take the same amount of time to slow cook/tenderise as non grass fed chuck…..or do you think it takes a little longer since grass fed meats are generally not as tender as grain fed meats. Thanks for receiving my comment and questions! Hi, Susan. Welcome to The Nourishing Home. I just love that the Lord is leading you to Christian sites all around the globe – what a great God we serve! Thank you for sharing that – it truly blessed my heart to hear! With regard to this recipe, I use grassfed meats, so if you’re using them as well, then simply follow the suggested cook times here. If you are not using grassfed beef, then you may want to check the meat at the 4.5 hour mark. The issue with grassfed beef is that it’s lower in fat content, so if not cooked properly, it can turn out tough and dry. So when it comes to tougher cuts of beef, low and slow is definitely a good way to go. And regarding your question about browning, I purposefully didn’t brown the meat because I didn’t want the extra step and dishes, I wanted to see if it was possible to have a good beef stew without the extra step. And (in my opinion) despite the lack of browning, this stew turns out very rich and delicious – the balsamic vinegar really helps to tenderize the meat and deepen the flavor. This was AMAZING! I loved this, in fact, everyone loved it!! I found your recipe on Zip List. Is it possible to freeze this meal and then cook it? Would I need to brown the beef before freezing or could I put raw meat in the same bag as the veggies? I just tried this for the first time today, and it was so yummy! 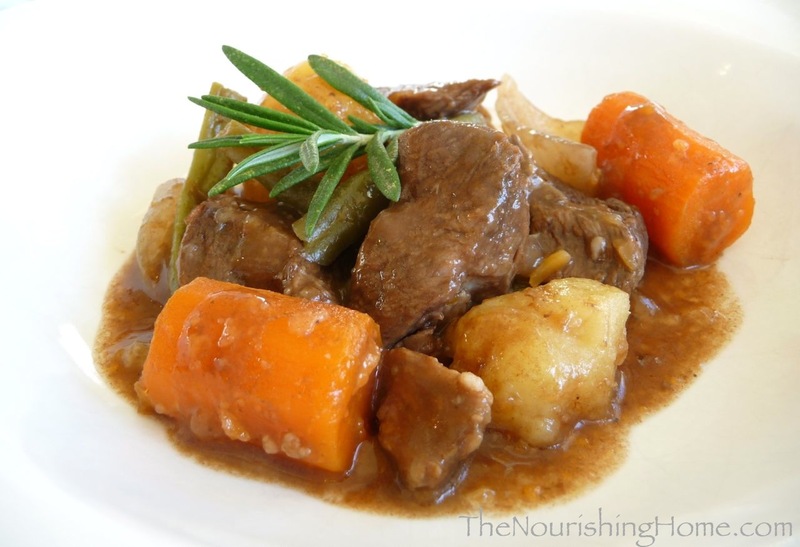 After having tried many crockpot beef stew recipes over the years and never being very happy, I was quite excited to discover this simple and delicious version and will be sharing it on my blog’s FB page. 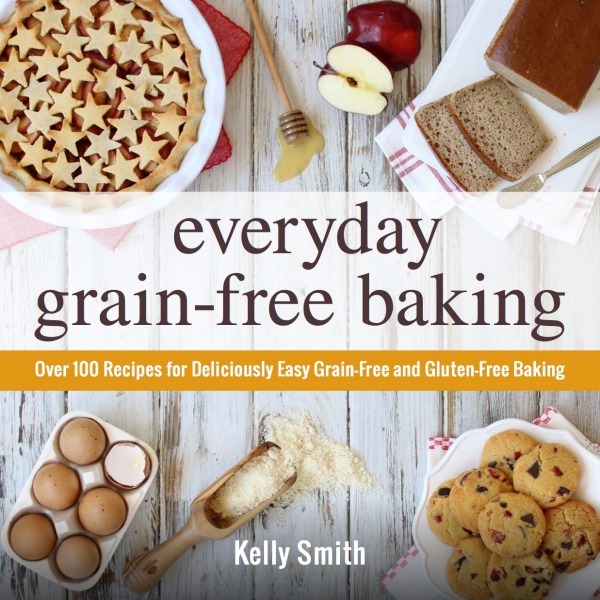 🙂 Thanks, as always, for healthy and great recipes Kelly! I made this stew recipe for dinner this evening. It smelled wonderful cooking all day. The flavor was equally as delicious! I have never seen balsamic vinegar in a stew recipe, but it turned out to be a great ingredient. Yum! This was perfect for our rainy, chilly day. Simple is usually best, thank you for another simple, delicious recipe.